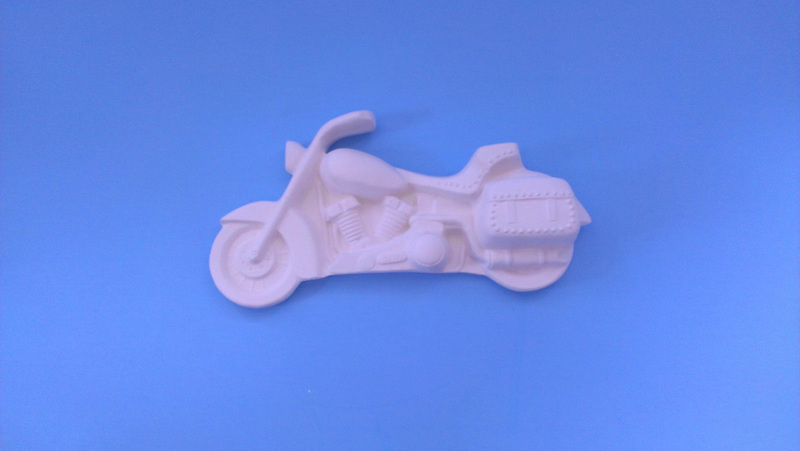 Ready to paint ceramic motorcycle bisque. Perfect as a wall plaque with holes in the back for the purpose of hanging. Alternatively this item also works well laid flat as a table or shelf decoration. 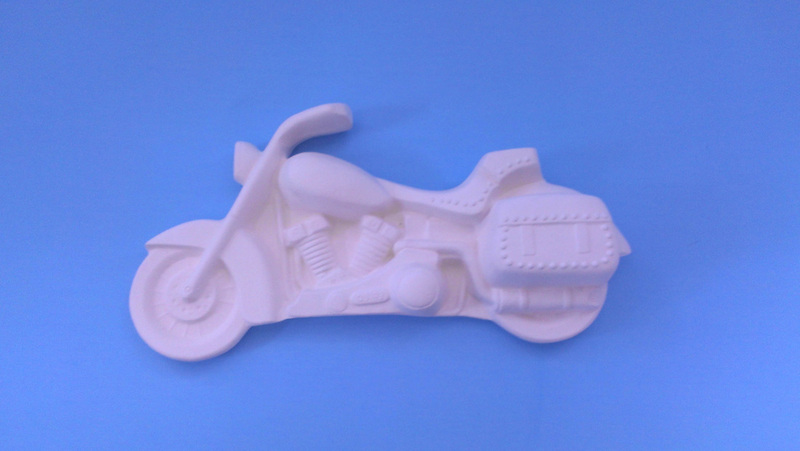 Love motorcycles or know someone who loves the, but want to put a personal touch? 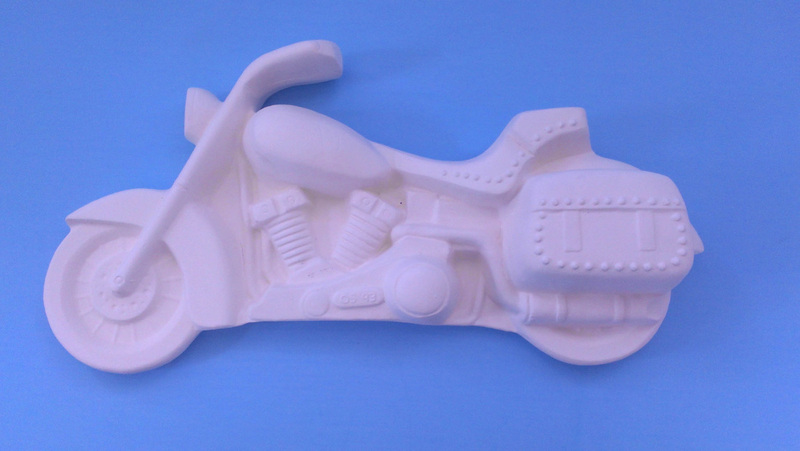 This item is ready to paint for that home-made gift feel.